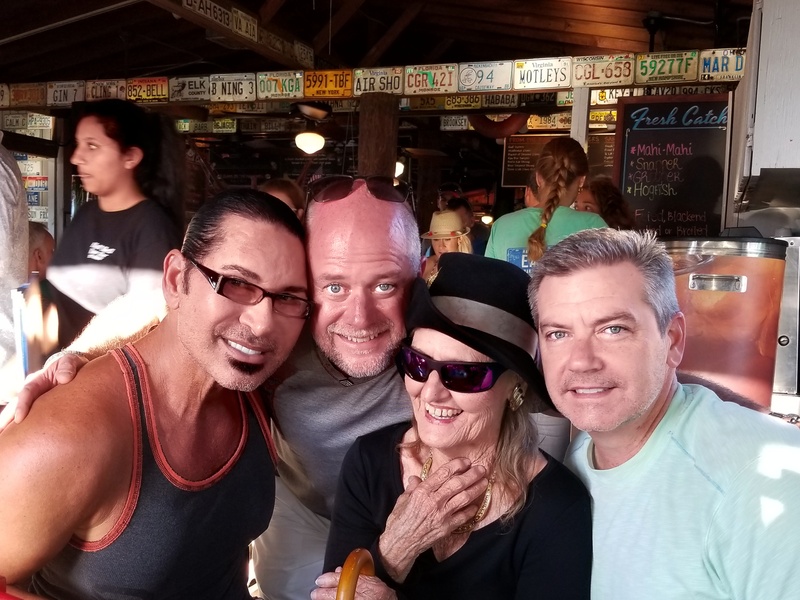 At the “Get Aquainted” Dinner at the Half Shell Raw Bar today are from left to right Vidal, Curt Morris, Marvelous Marlene and Joey Hatley! The food was amazing and good memories were created…stay tuned for tomorrow’s images from the Yacht Club of the Americas! This entry was posted on January 13, 2018 by vidalofkeywest. It was filed under Uncategorized .